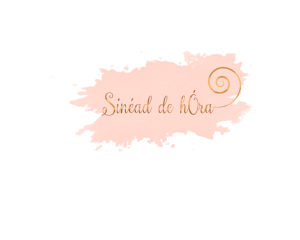 "With her catering to my every need, Sinéad has enabled me to go through this process protecting myself from all of the reoccurring, harmful thoughts that have been holding me back throughout the years. I have never felt more empowered and now I take active steps that allow me to reach my goals"
Sinéad designed her Mentor and Guidance Programmes for several reasons. To help you overcome the limitations that you put on yourself, to encourage you to follow your dreams, to motivate you to never give up on what truly makes you happy and to empower you to live the life that you desire. This can leave us feeling depleted, lost and unsure of what life has to offer. Sinead has created three very different Mentoring Programmes. Whether you are looking for guidance on how to discover your life purpose, if you are looking to set up a business, to re-brand yourself/ business or if you are looking for a deeper connection to your intuition and/or energy connection. Well then look no further. Why not arrange a 15 minute complimentary phone conversation with Sinéad to ensure that this the best step for you. Are you ready to step out of your funk and follow your dreams? If so, get in touch and let's see how we can bring your dreams to life!